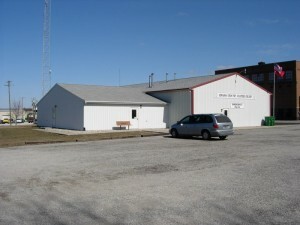 We were the successful bidder for the Community Room addition to the Kewanna Fire Station. This was a public bid project and was completed as a government contract under prevailing wage rules. The existing building was a pole building and only provided garage storage for the fire trucks and restroom facilities for the firemen. The addition was a stick frame, slab on grade construction and provided a meeting room and kitchen. Accessible restrooms were also included. The new layout included a separate exterior door so that the new facility could be used by the community without access to the truck garage. Leroy Bean was our Superintendent on this project.